“Fly” was produced by composer Park Geun Tae (of Baek Ji Young’s “I Don’t Love” and Jewelry’s “One More Time“) and features an exciting rock beat with a heavy orchestra sound. The encouraging lyrics asks contestants to fly towards their precious dreams. This entry was posted on April 15, 2011 by redtofu. 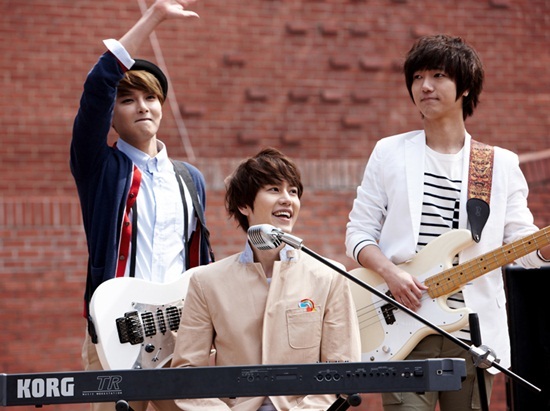 It was filed under Boy Band, OST, teaser, Videos and was tagged with Super junior KRY.